Who is your 最喜爱的 Little Witch Academia character? Who is your 最喜爱的 witch from Little Witch Academia? Take Action! Raise your hands! Little Witch Academia is a 日本动漫 show. It is a lighthearted 显示 with sweetness and comedy. The 显示 focuses on female witches who go to school. At their school they learn lessons about how to be better at flying and other witch related stuff. 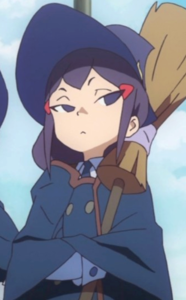 The show's main character is Atsuko Kagari also known as Akko. She and her 老友记 have lighthearted adventures together.